1 Samuel 23:15-17 And David saw that Saul was come out to seek his life: and David was in the wilderness of Ziph in a wood. And Jonathan Saul’s son arose, and went to David into the wood, and strengthened his hand in God. 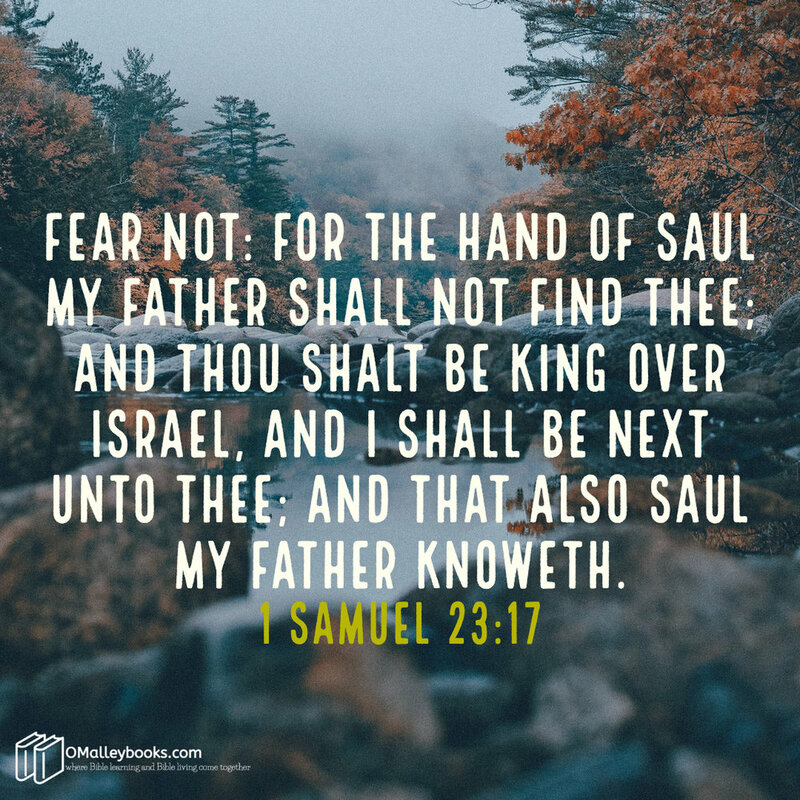 And he said unto him, Fear not: for the hand of Saul my father shall not find thee; and thou shalt be king over Israel, and I shall be next unto thee; and that also Saul my father knoweth. January 4, 1991, the telephone rang in my home at 10:45 pm. The news was unsettling at best. My father had collapsed in his home and was being rushed to the hospital. The next call was the news of his death. The next day I went to be with my mother and siblings. That day following a friend of mine drove over 1000 miles to come and sit with me. For the next 48 hours, all he did was strengthen my hand in God. Those hours I needed a friend and God sent me one. David, the king anointed, was on the run. Saul had relentlessly been pursuing David to take his life. David represented everything Saul used to be and now was not. Recently David had been in Keilah. When Saul learned of this, he moved immediately to attack. God confirmed in David’s heart that he needed to head to the woods of Ziph. In the woods of Ziph, God knew exactly what David needed. He sent his best friend Jonathan to him. Odd, isn’t it? Jonathan could find David, but Saul could not. Jonathan walked into the woods and found his friend. Consider this: he forsook his king and his father’s wishes to find his friend and help him. This visit was a precious reunion. David was at a low point. He and his men had been running. God, knowing this, allowed the heart of Jonathan to have been knit to David’s heart in the early days of the palace. So now Jonathan strongly desired to see him. Jonathan had one thought on his heart: I am going to strengthen my friend in God. Jonathan arrives with his mission clear. Strengthen my friend’s hand in God. Oh, what a transaction of encouragement! What a moment of tender friendship! Jonathan, though unintentionally, set the role of how a friend should respond to another friend’s distress. Look closely what he did. Have you a friend in distress? Has his burden become so heavy that you feel it personally? Well friend, here is your strategy. Find your friend. 1) Seek to replace his worries with the word of God. 2.) Tell your friend he will make it. 3.) Tell him that God’s promises are sure. Find your friend today and be a Jonathan to him.